The Irish take Gold with a team of 3! It was Jumping team gold for Ireland at the Longines FEI European Championships in Gothenburg, Sweden tonight where Shane Sweetnam, Denis Lynch and Cian O’Connor clinched victory with three superb clear rounds. Fourth team member Bertram Allen helped out on the sidelines after withdrawing from the competition following a fall from his grey stallion Hector van d’Abdijhoeve yesterday, but he joined Chef d’Equipe Rodrigo Pessoa on the medal podium as Ireland took the title for only the second time in the 60-year history of these Championships. Tension was at boiling point as the action began under the bright lights of Ullevi Stadium, with the host nation in pole position ahead of Switzerland while Ireland and Belgium were tied for bronze. But on a night when the going got tough, the tough really got going and the boys in green were the only side to keep a completely clean sheet. It was never a given. 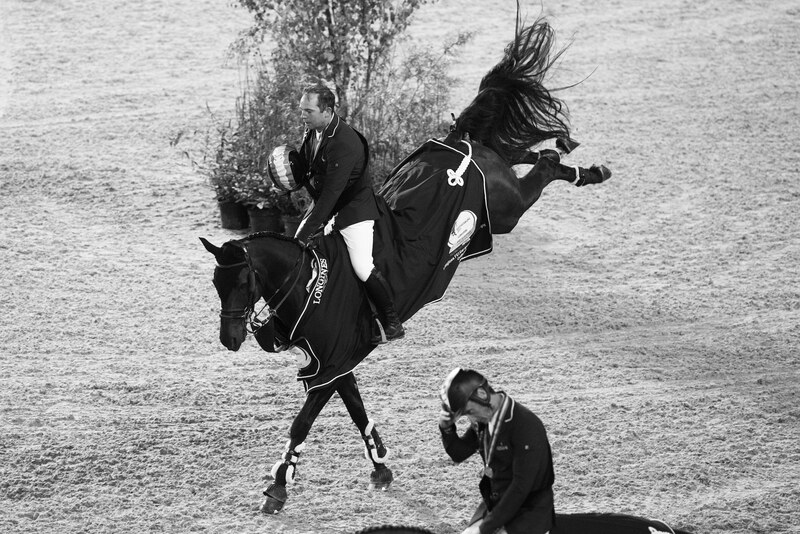 The loss of Allen and his brilliant stallion put them under extreme pressure, but as anchor rider Cian O’Connor (Good Luck) explained, they were never going to give up without a fight. "We spoke with Rodrigo about it last night, we thought the lights might work to our advantage, be a bit spooky and might catch out some horses. Our three stallions are all very brave and scopey, and the lights nearly helped them. We were quietly confident that we could do the business, and obviously Shane (Chaqui Z) had a really tough job going first… I was outside warming up when Denis (All Star) jumped clear and I thought - I have to match that now! I don’t even remember the round, it was all kind of a blur. But I do remember going through the finish!" The Swedes lost their grip on the lead when, despite just a single time fault from Henrik von Eckermann, Malin Baryard-Johnson retired and Douglas Lindelow’s nine faults were added, but Olympic individual silver medallist Peder Fredricson reined it back with another fabulous clear from H&M All In. And when only Martin Fuchs kept a clean sheet on the Swiss side they stayed behind the Swedes but ahead of the Belgians who finished just off the podium when adding nine faults to their scoreline. We had a good dinner Thursday night, we got together and we said we’ll keep fighting for this. As you know the Irish are always better as underdogs, and we proved that, so we are very happy to be here now! Sweetnam and O’Connor are lying third and fourth going into Sunday’s individual final, just fractionally behind Martin Fuchs and his exciting grey, Clooney, in second, and just over two points adrift of Swedish star Fredricson at the head of the leaderboard.